It's not often you meet someone who developed a passion for construction law as a kid. Unless, of course, his dad is Steven Siegfried, who's been in Construction Law since 1976 and served as an adjunct professor at the University of Miami since 1984. You could say attorney Nicholas David Siegfried, a shareholder with Florida-based Siegfried, Rivera, Hyman, Lerner, De La Torre, Mars & Sobel, P.A. (SRHL), has Construction Law in his blood. "Growing up, I would spend weekends and summer breaks at my father's firm," he says. "There, I was exposed to the type of cases handled by construction attorneys and was able to gain practical work experience in that field." When it came time to decide on a career path, he wanted something that would be challenging, rewarding and ultimately something he enjoyed. "I realized how much I enjoyed being a part of the development and construction industry, which has served to reshape the Miami skyline, making my decision to become an attorney and focus my practice in Construction Litigation fairly simple." Duke Revard: Tell us about Siegfried, Rivera, Hyman, Lerner, De La Torre, Mars & Sobel, P.A. What do you specialize in? Nicholas David Siegfried: The firm has been a trusted source of counsel and legal representation in the community association, construction and real estate sectors since its inception in 1977. Our attorneys have years of experience in their respective areas of practice, making us a valuable resource for our clients. The firm maintains offices in Dade, Broward and Palm Beach Counties in Florida, providing representation to a diverse client base not only throughout the state of Florida, but also around the nation. I have been with the firm since 2006 and became a shareholder in 2014. I concentrate my practice in the areas of Construction Litigation, Condominium Law and Community Association Law. I am Board Certified in Construction Law by the Florida Bar, have been published in nationally-recognized publications, and serve as an adjunct professor at the University of Miami, where I help teach a course on Florida's Construction Lien Law. Duke Revard: What are some of the unique issues/problems that arise in Construction Law? Nicholas David Siegfried: Construction is a microcosm of society. There are many individuals/entities coming together to build one project. From the smallest to the largest project, there will be misunderstandings, complaints, irrational behavior and disputes. Those parties that are able to recognize the reality of construction and have the experience to deal with the inevitable issues that arise will succeed. Duke Revard: What are the most common problems your construction industry clients come to you with? 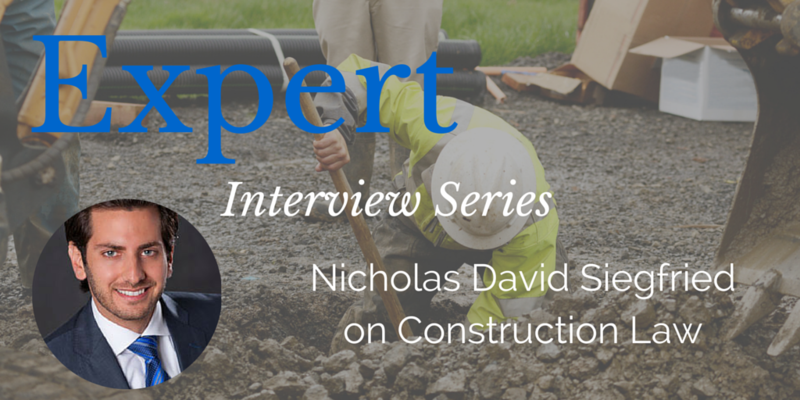 Nicholas David Siegfried: The most common issues I handle are construction defect claims. With the resurgence of South Florida's economy, we are seeing rapid growth in construction projects and a tightening in real estate inventory. International investors are addicted to South Florida property, and in turn, developers are taking advantage and trying to meet their demands. As developers compete with one another to make their project the most appealing while still maintaining competitive pricing, a lot of pressure is put on their team to complete their projects in a timely manner. This is where I believe things tend to go wrong. Contractors begin to rush their work, cutting corners and doing shoddy work with substandard supplies in an effort to meet deadlines and keep costs down. Recently, I have handled numerous cases where balconies, roofs and other foundation systems such as columns and beams have been built with the incorrect materials. One specific construction defect issue that has arisen recently is the use of incompatible materials by contractors, which has led to disastrous results, potential life safety problems and millions of dollars in property damage. It is frustrating to see such significant problems that could have been easily avoided with the proper care and attention at the outset of the project. Duke Revard: Where do you think those in construction make the biggest missteps from a legal perspective? Nicholas David Siegfried: I believe that the biggest misstep in the construction industry is not having an attorney involved from a project's inception. Although many of my clients have been doing this for years, no project is the same. Having an attorney review contracts from the start may help clients stay away from litigation in the future; or at the very least will assist attorneys in defending their clients should litigation arise since everything was done properly from the client's end. 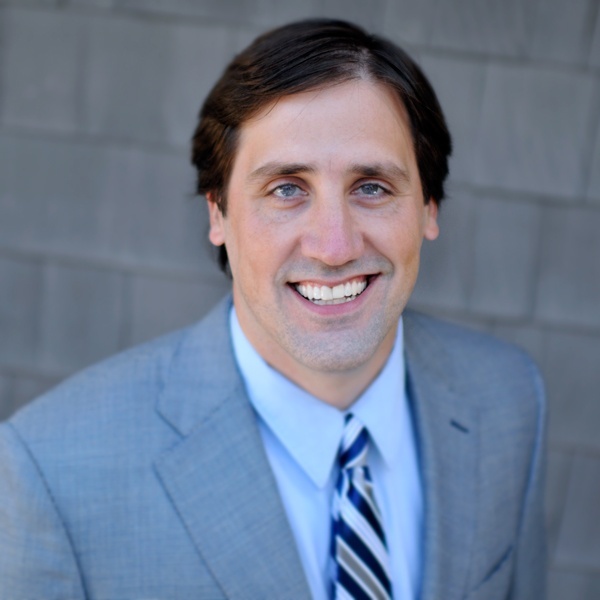 Duke Revard: What do construction professionals need to know about mechanics liens? Nicholas David Siegfried: Details matter. Whether it is complying with statutory requirements or preparing the requisite notice and claim of lien, there is the possibility for error that can result in a party losing its claim. In Florida, the Construction Lien Law, formerly known as the mechanics lien law, is strictly construed. Thus, the filing of a claim of lien even one day late will result in the loss of lien rights. Avoid discovering the potential harsh consequences of a state's lien law and consult with an attorney before you start the project to ensure that you protect your rights from the moment you start providing materials and services to the project. If you wait until you are not paid for your materials and services, it may be too late. Duke Revard: What are the most common problems your clients run into when it comes to these liens? Nicholas David Siegfried: A lack of familiarity with Florida's Construction Lien Law. Errors range from failing to provide the requisite preliminary notice to including amounts that are not allowed in a claim of lien. Accordingly, we provide seminars to our clients as to how to perfect their lien rights. So long as the basics of Florida's Construction Lien Law are complied with by our client, we can work with them to address the intricate details. Connect with SRHL on Facebook, Twitter, LinkedIn and Google+.